Welcome to my new blog page!! I'm super excited to be able to post my opinions and get feedback from others on how their experience with things are! If you have tried a new product or have one you have been using for a long time, please feel free to let me know all about it so i can try it out for myself!! I love trying new things to see how well they work. So about me! I'm happily married to a wonderful man! I have 3 great boys, Raymond 21, Nicholas 18 and Fox who is 8. I also have a beautiful grand daughter Swayze who is 2! I have worked in healthcare for 17 years and love every minute of it!! I grew up in Washington state but have been transplanted in Virginia now for 2 years! Not to fond of the cold weather we have had this year lol but i survived! Anyway, I hope you enjoy my page! 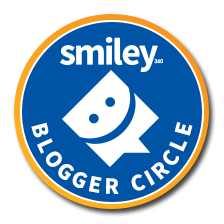 I'm a happy member of Smiley360 where i give honest product reviews on free stuff sent to me through Smiley. If you would be interested in joining just click the link below. Or copy and paste to your browser!! !